“I will continue to hold former President Jonathan in high esteem as a result of that singular act." 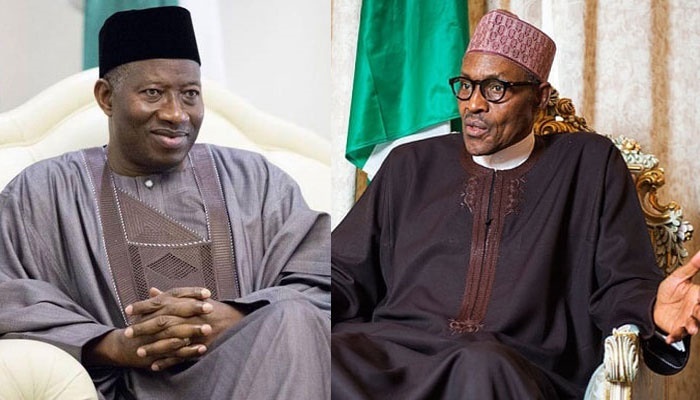 For the umpteenth time, President Muhammadu Buhari has commended former President Goodluck Jonathan for accepting the outcome of the 2015 presidential election which he (Buhari) won. The president who spoke in the Hausa language said he would continue to hold Jonathan in high esteem because of that decision. The President said, “I will continue to hold former President Jonathan in high esteem as a result of that singular act. He urged the entertainers to continue to use their talents to promote the culture of peaceful co-existence and unity among the diverse socio-political groups in the country. The Secretary to the Government of the Federation, Boss Mustapha, claimed that the fans of the entertainers would guarantee Buhari at least five million votes in the 2019 presidential election. He, therefore, urged them to use their social media platforms in promoting the achievements of the Buhari administration.